With the utmost reluctance and with infinite regret, His Majesty's Government have been compelled to put this country in a state of war with what for many years and indeed generations past has been a friendly Power. The Papers which have since been presented to Parliament will, I think, show how strenuous, how unremitting, how persistent, even when the last glimmer of hope seemed to have faded away, were the efforts of my Right Hon. 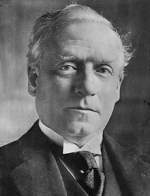 friend the Foreign Secretary [Sir Edward Grey] to secure for Europe an honourable and a lasting peace. In the early part of the war Zeppelins were used for bombing raids. A Zeppelin bombed Liege in Belgium on 6th August, 1914 but was forced to land after encountering artillery-fire. Three more Zeppelins were destroyed by ground forces over the next two weeks. Although [the airships were ] easy to hit, the Germans continued to use them on attacks on France. Denis Patrick Dowd Jr enlists in the French Foreign Legion, becoming the first American to fight in World War I. The USS Tennessee sails to Europe with $6 million in gold to help American citizens stranded by the war. War at Sea: Germany's Atlantic U-boat Campaign begins when ten U-boats sail from their base in Heligoland to attack British Royal Navy warships in the North Sea, the first ever submarine war patrol in history. Battle of Sari Bair: Hamilton attempts new landings at Gallipoli after the arrival of reinforcements, but because of the fear of German submarines, no battleships are available to provide artillery support and the operation fails. Russia is now permanently cut off from its allies. The Battle of Sari Bair, also known as the August Offensive, was the final attempt made by the British to seize control of the Gallipoli peninsula from the Ottoman Empire. Isonzo: General Cadorna again strikes the Austrian Isonzo front. In this Sixth Battle of the Isonzo the Italians take Gorizia, but no breakthrough is achieved. 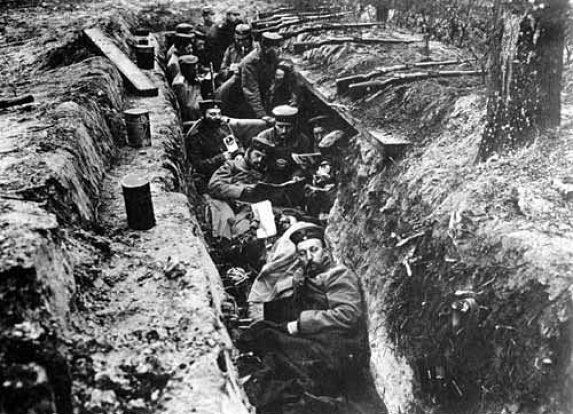 Psychologically, the operation boosts Italian morale, lowered by the heavy losses in the Trentino. Unlike earlier attempts however the Italians finally met with success on the battlefield. With the Austro-Hungarian lines depleted following their concerted attack at Trentino (whereas Cadorna had made efficient use of railways to quickly ferry his own troops back to the Isonzo) and with the additional need to defend against the Russian Brusilov Offensive in the east, Gorizia fell and the Italians succeeded in establishing a bridgehead. The Second Battle of the Marne was an overwhelming victory, Ferdinand Foch received the baton of a Marshal of France. The Allies had taken 29,367 prisoners, 793 guns and 3,000 MGs but the Germans were by no means crushed. They had suffered total casualties of 168,000 since 15 July. 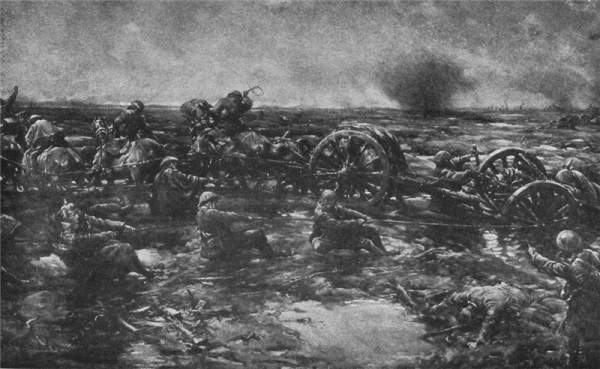 The Western Front had been shortened by 28 miles, the moral importance of the decision gained on the Marne was that it marked the end of a string of German victories and the beginning of a series of Allied successes that were, in a mere three months, to bring the German Army to its knees. Young's report suggested that the total amount of reparations should be reduced by about three-quarters and that Germany should make annual payments on a sliding-scale up to 1988. The Young Plan was accepted by all the governments concerned but it was severely criticized in Germany by right-wing politicians such as politicians like Adolf Hitler and Alfred Hugenberg. 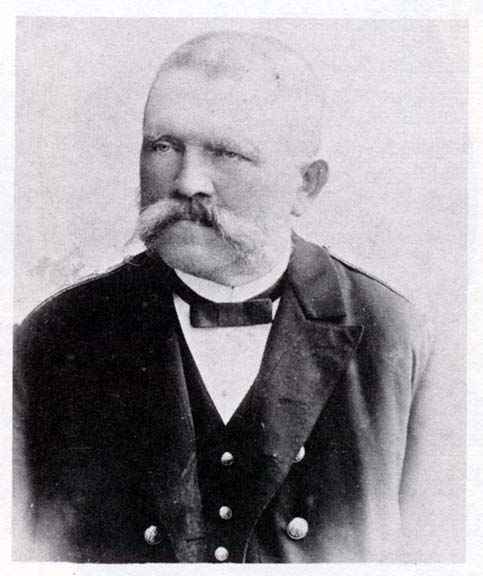 The President of the Reichsbank, Hjalmar Schacht, also disagreed with the plan and resigned from office. 1935 Holocaust: The Reich Association of Jewish Cultural Unions, established by the Reich Chamber of Culture, is placed under the control of Goebbels' propaganda ministry. Beginning in September 1933, a Reich Culture Chamber (composed of the Reich Film Chamber, Reich Music Chamber, Reich Theatre Chamber, Reich Press Chamber, Reich Writing Chamber, Reich Chamber for Fine Arts, and the Reich Radio Chamber) supervised and regulated all facets of German culture. Nazi aesthetics emphasized the propagandistic value of art and glorified the peasantry, the "Aryan," and the heroism of war. This ideology stood in stark contrast to modern, innovative art, such as abstract painting, denounced as "Degenerate Art," as well as "art bolshevism" and "culture bolshevism"
Adolf Hitler blamed the Jews not only for the economic crises, but also for the alleged degrading effects of contemporary art movements. The Jewish presence within Germany was declared a threat to the purity of the German State. When discussing the arts, Nazi leaders used the terms "Jewish" and "degenerate" interchangeably. 1936 Spanish Civil War: The US declares its strict neutrality in the conflict. 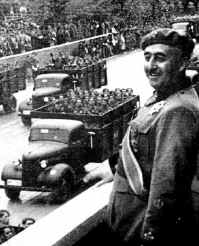 1937 Spanish Civil War: Franco's artillery bombards Madrid. Attempting to reduce the Nationalist pressure on Madrid, General Miaja orders an offensive directed by Generals Juan Modesto and Enrique Jurado. 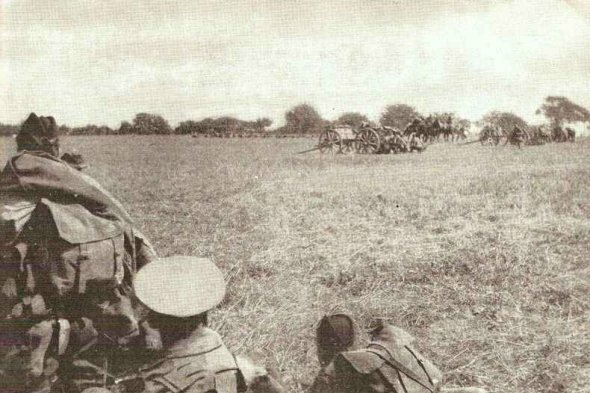 They take Brunete, moving the front some eight kilometers. The Nationalist counterattack directed by General Jose Enrique Varela almost completely wipes out this gain. Italy: Mussolini, fearing Germany will go to war with Poland, discusses with Count Galeazzo Ciano, his son-in-law and Foreign Minister, possible ways to evade the terms of the Pact of Steel, which commits them to aiding Germany. 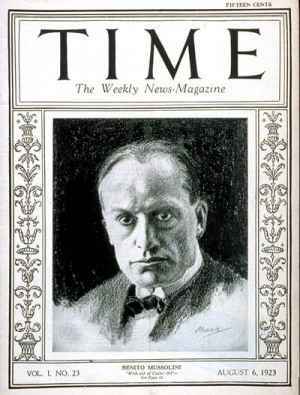 Mussolini believes Italy is still 3 years short of readiness for war. Danzig: German authorities in Danzig tell the Poles that their customs officials can no longer work in the port. 1940 Estonia is formally absorbed into the Soviet Union as the Estonian Soviet Socialist Republic. 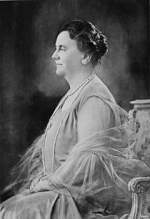 Queen Wilhelmina of the Netherlands becomes the first reigning queen to address a joint session of US Congress, telling lawmakers that despite Nazi occupation, her people's motto remains, "No surrender." 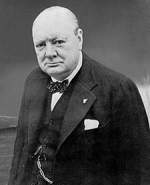 Middle East: Winston Churchill fires General Auchinleck as Middle-East commandant. General Dwight D. Eisenhower is appointed commander-in-chief of Allied forces preparing to invade North Africa. Barbarossa: Units of 1st Panzerarmee (von Kleist) cross the Kuban river at Armavir. I have to say one thing to this. 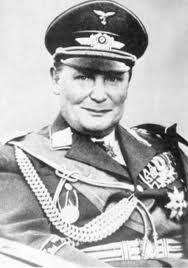 I do not wish to praise the Gauleiter [Fritz] Sauckel; he does not need it. But what he has done in such a short time to collect workers so quickly from the whole of Europe and supply them to our undertakings is a unique achievement. I must tell that to all these gentlemen; if each of them used in their sphere of activity a tenth of the energy used by Gauleiter Sauckel, the tasks laid upon them would indeed easily be carried out. This is my sincere conviction and in no way fine words. The behavior of EAM (Greek Communist Partisans) is absolutely intolerable. Obviously they are seeking nothing but the Communization of Greece during the confusion of war, without allowing the people to decide in any manner understood by democracy. 2. We cannot take a man up as we have done Papandreou and let him be thrown to the wolves at the first snarlings of the miserable Greek banditti. Difficult as the world is now, we shall not make our course easier by abandoning people whom we have encouraged to take on serious jobs by promises of support . . . . Should matters go downhill and EAM become master we should have to reconsider keeping any of our mission there and put the Greek people bluntly up against Bolshevism. The case seems to me to have reached the following point: either we support Papandreou, if necessary with force as we have agreed, or we disinterest ourselves utterly in Greece. It may be that within a month or so we shall have to put 10,000 to 12,000 men into Athens . . . . Such a force should be embarked now, and would probably be in time for the political crisis . . . there is no question of trying to dominate Greece or going outside the immediate curtilage of Athens, but this is the center of government...If you have a better plan, let me know it. It is to be presumed that the Germans have gone or are streaking away to the north, and that the force landed at the Piraeus would be welcomed by the great majority of the population of Athens, including all the notables. The utmost secrecy must enwrap this project. I am grieved to find that even splendid victories and widening opportunities do not bring us together on strategy . . . . Bowing to the United States Chiefs of Staff under recorded protest and the overriding of our views, we have done everything in human power, including the provision of nearly one-half the naval forces about to be engaged. If nothing can be done to save the situation I earnestly pray the American view may be right . . . . I admit the arguments against late changes on plans, but they ought to be fairly weighed against what seems to us to be the overwhelming case for strengthening the main battle, and thus possibly finishing up with Hitler this year. 6. You know the great respect I have for Marshall, and if you feel able to embroil yourself in these matters I should be glad if you would bring my views before him, especially the later paragraphs, which are my reply to any complaint he may have that I supported 'Anvil' at Teheran and have turned against it since. The one good aspect to 20 July was that it brought each of us to attention. Suddenly the nation stood before an abyss and peered into its terrifying depth. Everyone realized what the failed attempt against the Fuehrer and his top military advisors would have meant. The whole nation realized that its very existence might have ended had the plans of the traitorous Putsch clique succeeded. It is easy to sit in judgment of this or that measure when a strong government is in control. That does not necessarily mean one does not support the government. A nation realizes what such a government means only when it for a moment faces the possibility of losing it. Only then does the nation see the real value of an authority that everyone takes for granted, and to which everyone, without exception, gives the right to rule and to decide. What would these nitpickers do if that authority suddenly disappeared? At such a time as this, a strong hand at the helm is the most important prerequisite to keep things going, and ultimately to win the victory. Few successes are the result of luck or accident; nearly all have to be won in a hard battle with fate. The historical burdens bound to such successes can only be mastered by a personality of historic scale. If that personality is lacking, the struggle is hopeless from the start. Poland: The Red Army enters Galicia. On June 10, 1944, Heinrich Himmler ordered the liquidation of the Lodz ghetto. The Nazis told Rumkowski and Rumkowski told the residents that workers were needed in Germany to repair the damages caused by air raids. The first transport left on June 23, with many others following until July 15. On July 15, 1944 the transports halted. The decision had been made to liquidate Chelmno because Soviet troops were getting close. Unfortunately, this only created a two week hiatus, for the remaining transports would be sent to Auschwitz. By August 1944, the Lodz ghetto had been liquidated. Though a few remaining workers were retained by the Nazis to finish confiscating materials and valuables out of the ghetto, everyone else had been deported. Even Rumkowski and his family were included in these last transports to Auschwitz. On this day in 1945, at 8:16 a.m. Japanese time, an American B-29 bomber, the Enola Gay, drops the world's first atom bomb, over the city of Hiroshima. Approximately 80,000 people are killed as a direct result of the blast, and another 35,000 are injured. At least another 60,000 would be dead by the end of the year from the effects of the fallout. U.S. President Harry S. Truman, discouraged by the Japanese response to the Potsdam Conference's demand for unconditional surrender, made the decision to use the atom bomb to end the war in order to prevent what he predicted would be a much greater loss of life were the United States to invade the Japanese mainland. And so on August 5, while a "conventional" bombing of Japan was underway, Little Boy, (the nickname for one of two atom bombs available for use against Japan), was loaded onto Lt. Col. Paul W. Tibbets' plane on Tinian Island in the Marianas. Tibbets' B-29, named the Enola Gay after his mother, left the island at 2:45 a.m. on August 6. Five and a half hours later, Little Boy was dropped, exploding 1,900 feet over a hospital and unleashing the equivalent of 12,500 tons of TNT. The bomb had several inscriptions scribbled on its shell, one of which read "Greetings to the Emperor from the men of the Indianapolis" (the ship that transported the bomb to the Marianas). 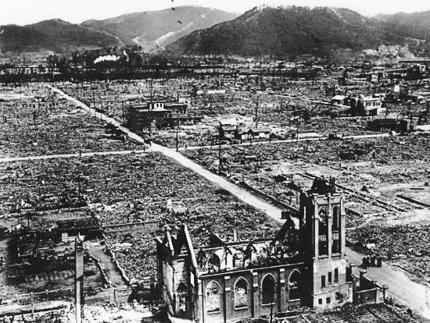 There were 90,000 buildings in Hiroshima before the bomb was dropped; only 28,000 remained after the bombing. Of the city's 200 doctors before the explosion; only 20 were left alive or capable of working. There were 1,780 nurses before-only 150 remained who were able to tend to the sick and dying. According to John Hersey's classic work Hiroshima, the Hiroshima city government had put hundreds of schoolgirls to work clearing fire lanes in the event of incendiary bomb attacks. They were out in the open when the Enola Gay dropped its load. Since 1940, the United States had been working on developing an atomic weapon, after having been warned by Albert Einstein that Nazi Germany was already conducting research into nuclear weapons. By the time the United States conducted the first successful test (an atomic bomb was exploded in the desert in New Mexico in July 1945), Germany had already been defeated. The war against Japan in the Pacific, however, continued to rage. President Harry S. Truman, warned by some of his advisers that any attempt to invade Japan would result in horrific American casualties, ordered that the new weapon be used to bring the war to a speedy end. On August 6, 1945, the American bomber Enola Gay dropped a five-ton bomb over the Japanese city of Hiroshima. A blast equivalent to the power of 15,000 tons of TNT reduced four square miles of the city to ruins and immediately killed 80,000 people. Tens of thousands more died in the following weeks from wounds and radiation poisoning. Three days later, another bomb was dropped on the city of Nagasaki, killing nearly 40,000 more people. A few days later, Japan announced its surrender. Death: Richard Bong: America's all time Ace of Aces, having shot down 40 enemy aircraft during World War II. Bong's Medal of Honor citation stated that he flew combat missions despite his status as an "instructor". In fact, he was the P-38 standardization officer for 5th Fighter Command, there being no position for instructors in a war zone. His rank of major would have qualified him for a squadron but he always flew as a flight (four-plane) or element (two-plane) leader. In January 1945, the Allied air commander in the South West Pacific Area, General George Kenney sent the ace of aces home for good. Bong married his fiancée and participated in numerous PR activities, such as promoting the sale of war bonds. He then became a test pilot for jet fighters. On August 6, 1945, the same day the first atomic bomb was dropped on Hiroshima, Bong was killed in the crash of his P-80 Shooting Star shortly after takeoff from Lockheed Burbank airport. Ironically, Bong's death, which would likely have been front-page news, was greatly overshadowed by the use of the atomic bomb in the very theater he fought in. Dr. Horst Pelckmann: What influence did Heinrich Himmler actually have on the moral attitude of the members of the Waffen-SS? Paul Hauser: Heinrich Himmler most assuredly tried in peacetime to exert his influence on the small Verfuegungstruppe. During the war this was practically impossible. He did not address troops of the Waffen-SS. 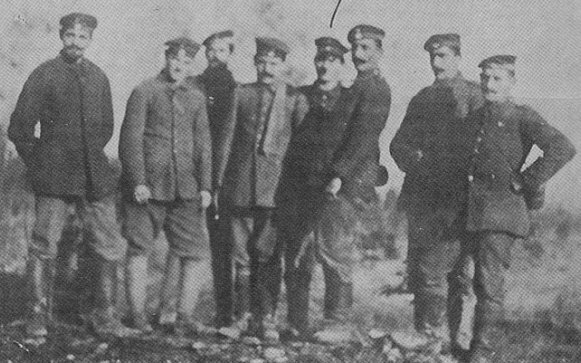 On occasion he did talk to some officers and commanders of some divisions in the field. It was generally known that Heinrich Himmler, who had done only 1 year's military service, had no conception of the military and underestimated the military tasks and the work involved. He liked to play the role of the strong man through exaggeration and through superlatives. If someone comes along with big words, the soldier on the front does not pay much attention. Dr. Horst Pelckmann: Was the influence of Himmler on the com-manders perhaps stronger than on the masses of SS soldiers? Paul Hauser: Quite the contrary. The commanders, of course, were under him so far as military obedience was concerned. But they had the right to criticize through their own experience of life and of the world, and as a matter of fact this criticism was necessary in the face of Himmler's extravagant and romantic ideas. These men had enough experience so that they could translate his statements into the language and manner of thought of the soldier. The critical attitude toward Heinrich Himmler increased continually during the war. In most cases he believed that he could dispense with the advice of an experienced soldier. Objections were cut off short with the words, "This is the typical viewpoint of a general"—viewpoints which he opposed. Dr. Horst Pelckmann: Is it correct that Heinrich Himmler in his speeches broke. out into exorbitant invective against the Jews and the Slavs? Paul Hauser: I know only about the speech at Kharkov in 1943, in which he mentioned three points which called forth our criticism and opposition. I have already expressed myself on the one point, namely, the terror which was to precede us. His distasteful statements about the Jews referred to Germany only and did not indicate extermination in any way. Dr. Horst Pelckmann: Himmler was the highest legal authority. What were his powers? Could he, for instance, direct a court to pass a certain judgment? Reinecke: No, Himmler could not do that. On the whole he observed the legal rules. As the highest legal authority he had, of course, the right, bestowed on him by Hitler, to quash any sentence, but he made use of this right only in very rare cases. The judge was independent, bound only by the law. His independence was guaranteed by law. The findings and sentences of the SS courts were reached by a majority vote. Any interference by the highest legal authority, Himmler, was not possible~ He had, however, the right to order a retrial of the case, or he could quash the sentence. He could, therefore, have a case retried several times if he did not agree with the verdict. But even in this case the decisions of the courts of the SS reached on the basis of the existing laws were always finally upheld. Sentences passed by the SS courts were sometimes canceled by the highest legal authority, Himmler, up to, three or four times because he considered the penalty too high or to low. The judges always arrived at the same sentence on the basis of the law, and eventually their decision was upheld. Most of the persons who have cudgeled their wits over the problem, have neglected one of the most obvious impacts on American life Jews have made, in the mass entertainment media: radio, films, the stage, night clubs. One might almost say that American culture as a whole has taken on certain Jewish overtones. 1961 Cosmonaut Gherman Titov spends an entire day orbiting the Earth in Vostok 2. Izvestia attacked American rocket expert Wernher von Braun-Hitler's former chief rocket scientist who is now working for the US-for "creating inhuman conditions" among workers at an underground Nazi rocket base in Poland, [sic] which he reportedly headed during World War II. 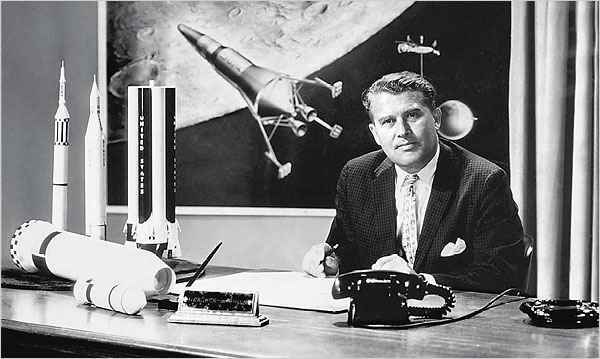 Von Braun, Izvestia said, did so "to carry out the promise given to Hitler of a miracle weapon." The last remaining troops of the Fourth Battalion, 503rd Infantry of the 173rd Airborne Brigade, (the first U.S. Army ground combat unit to arrive in Vietnam in May 1965), cease combat operations and begin preparations to leave Vietnam. Please note that the list-owner andmoderators are not responsible for, and do not necessarily approve of, the random ads placed on our pages by our web server. They are, unfortunately, the price one pays for a 'free' website.